The holidays are over, temperatures are dropping below freezing, and 2019 is in full swing, which means that we have now officially reached everyone’s favorite time of the year. That’s right folks, welcome to tax season. 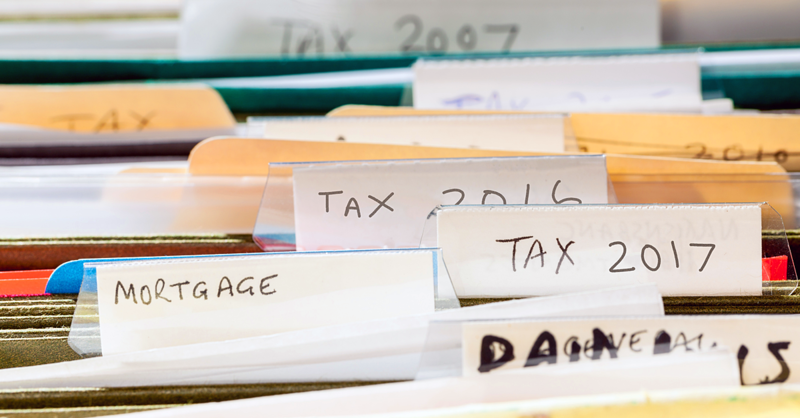 This year, tax season officially starts on January 28, which means that this is the day when the IRS will begin to process tax returns and refunds for 2018. The IRS has announced that it will continue to issue refunds even with the ongoing government shutdown, so there is no reason to delay in getting your taxes filed. (Unless you owe them money, in which case you may prefer to wait until the deadline.) Of course, those of us who are not accountants or licensed tax preparers also have the burden of figuring out how to get our taxes calculated and filed in the first place, especially since this is the first tax season under new rules passed back in 2017. Plenty of companies advertise their services this time of year, with many of them showcasing some sort of free option for basic tax returns—the key word being basic. In fact, most of these advertised “free” services are intended primarily to upsell you on paid services, often by forcing you to upgrade to a premium version for anything beyond a W-2, even for something as simple as interest on a savings account. There is a better way, a truly free way, though you may not know of it. An estimated 100 million people—more than 70 percent of taxpayers—are eligible for software that will prepare and file both your federal and state taxes completely for free. Anyone with an adjusted gross income (AGI) of less than $66,000 is eligible for free software using IRS Free File, with none of the limitations seen in the more commonly advertised free options. This is despite coming from the same companies, and appearing on the surface to be exactly the same software. The only catch to the program is that to access the free software, you must use the very specific links listed by the IRS. Twelve different companies offer options for free filing under the IRS program, and although specific eligibility for each company varies, anyone making under $66,000 AGI should be eligible for at least one of the companies listed. Keep in mind that AGI is your income after deductions (things like student loan interest and contributions to a health savings account), so you may be eligible for the program despite having an official salary of more than $66,000. However there is no increased limit for joint filings, so couples with a single return are less likely to be eligible. For those who earn too much to be eligible for the program, the IRS offers Free File Fillable Forms, though these come with various limitations and mostly require you to calculate everything yourself. While the Free File program is touted as being widely available, the reality is that very few people actually know about it! According to the 2016 Annual Report to Congress from the National Taxpayer Advocates, fewer than 3 million people actually use the program each year. And while some portion of people may be getting free returns through different means, it is likely that the vast majority of people are paying for tax preparation that they could be receiving for free. Although $30 for a simple federal return may not seem like a high price, especially when the company simply takes it out of your return, these fees add up to billions of dollars that could be in savings accounts or spent in other sectors of the economy. Given that the IRS currently has no budget to advertise the program, mostly because tax prep companies lobby against it, those statistics seem unlikely to change without knowledge sharing through significant word-of-mouth promotion. So this year, I would like to issue a simple challenge to any reader of this blog, especially if you paid for tax preparation last year. Follow this link, and find out if you are paying for a service that you could be getting for free. Keep in mind that since the program refers to AGI, you may be eligible even if you think your salary is too high. Also, make sure to choose a company that provides a free state return as well, for whichever state you are filing. For example, H&R Block’s Free File program offers a complimentary state return for anyone eligible for their free federal return, regardless of which state you are filing in. Finally, even if you aren’t able to take advantage of the program yourself, spread the word! Since the government is not advertising the program, and tax companies have no desire or incentive to do so, it’s up to all of us to save money for our friends and family. And if tax filing is free, maybe we’ll have an incentive to complete our taxes early and avoid rushing at the deadline. 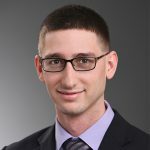 Jacob serves as a research associate at the Regional Economic Studies Institute, where he conducts research and collects, extracts, and analyzes data for the Maryland State Department of Education (MSDE) Child Care Subsidy Program. He also works with the Maryland Department of the Environment and E3 to examine the effect of Maryland state policies on a regional goal to reduce greenhouse gas emissions.